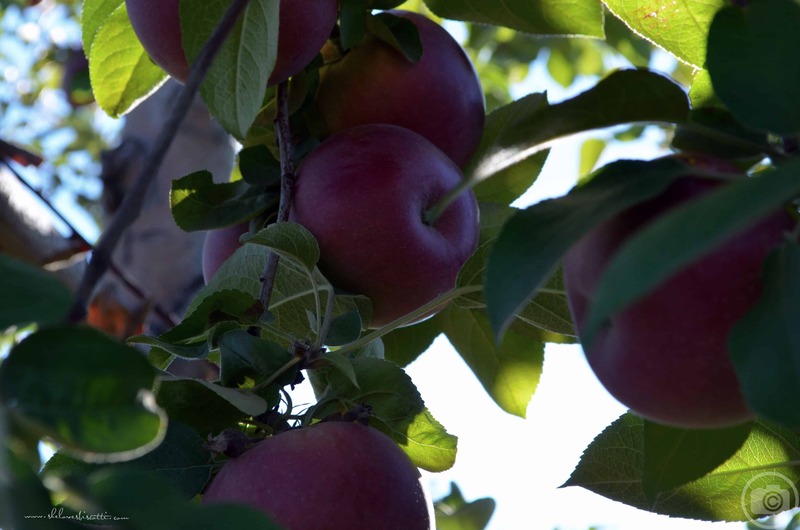 So you took advantage of the beautiful weather we have been having in Southern Quebec by going apple picking and you don’t know what to do with all the red fruit you’ve gathered. Well, you have come to right place. 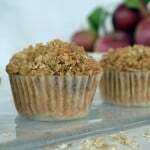 I would like to share my favourite apple recipes with you, starting with my Apple Pie Muffins. I absolutely love apples. There is something so special about biting into a freshly picked, tart, juicy Mac. The burst of flavour always leaves me speechless. Apples are truly jewels of nature. When my kids were younger, I used to plan a whole day of activities supporting my obsession with apple picking, hay rides and all. As the kids got older, I realized I was more eager than they were about our yearly pilgrimage to the apple orchards. Would you believe I still look forward to this time of the year? I never get tired of being in total awe of nature’s bounty. I feel very fortunate to experience these beautiful orchards and grateful to my husband who still supports my fascination with apples after all these years. There is no lack of recipes for apple muffins. As with all recipes, it really is a question of taste. I’ve adapted my favourite recipe for apple pie muffins from one I found at Food.com. You can find the original recipe here. 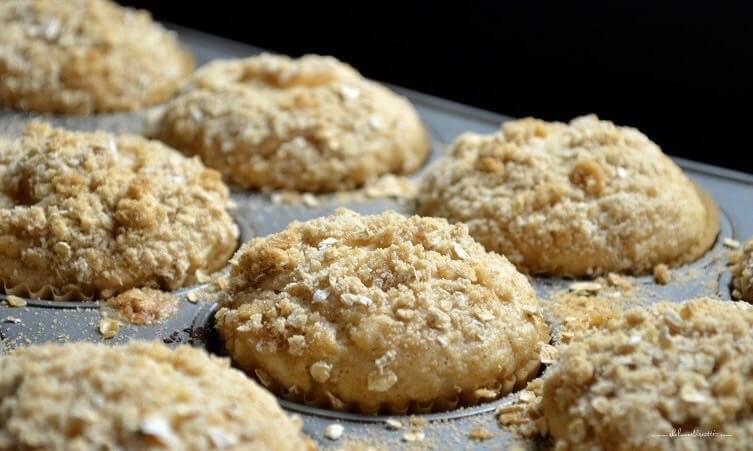 I have also included a recipe for a streusal topping, but these apple pie muffins are just as good plain. 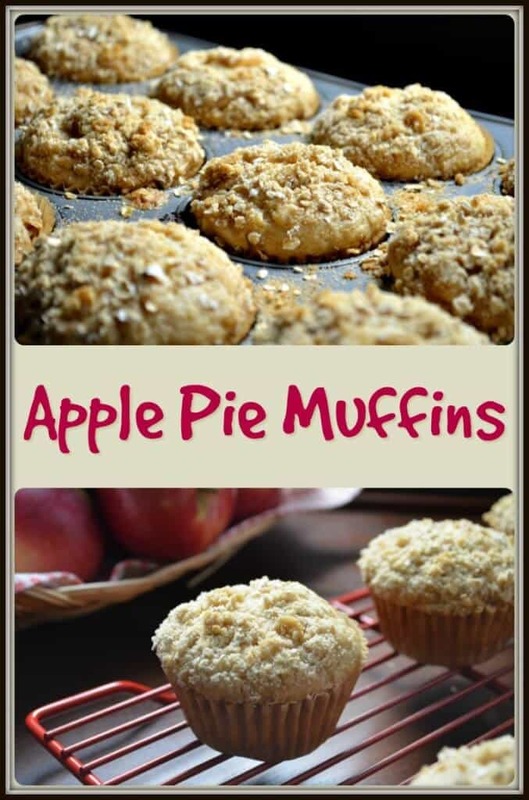 Go ahead and try this recipe for Apple Pie Muffins, your whole house will smell like apple goodness! 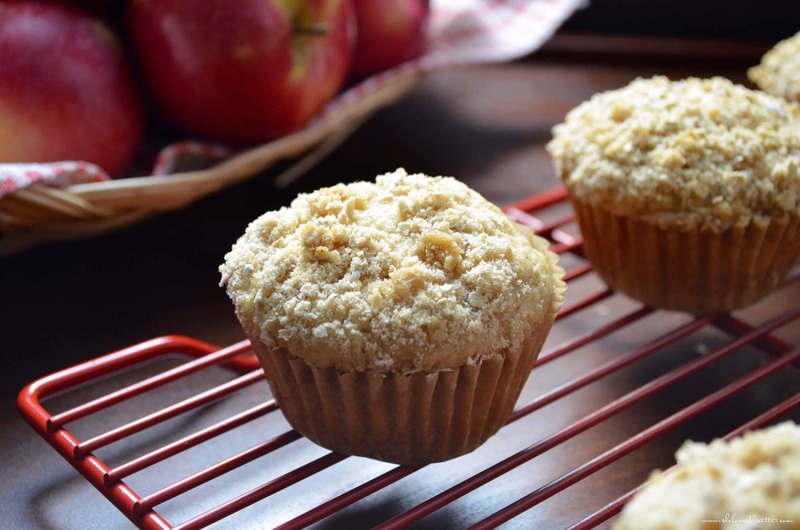 A great fall recipe for moist apple pie muffins. Your whole kitchen will smell like apple pie as they bake. Preheat the oven to 350℉. Position rack to middle. Prepare streusel topping (optional) and set aside. See instructions below. In another bowl,beat egg, oil, applesauce, buttermilk, and vanilla. Mix well. Set aside. Grate and chop the apples. Set aside. Add the wet mixture all at once to the dry ingredients. Stir just until moistened. Gently fold in the apples (grated and chopped). Fill muffin liners 3/4 full. Sprinkle streusel topping over muffin batter (if using). Bake for 25-30 minutes or until top bounces back when lightly touched. In a small bowl, combine the sugar, flour, oats and cinnamon. Set aside (to be sprinkled over muffins prior to baking. 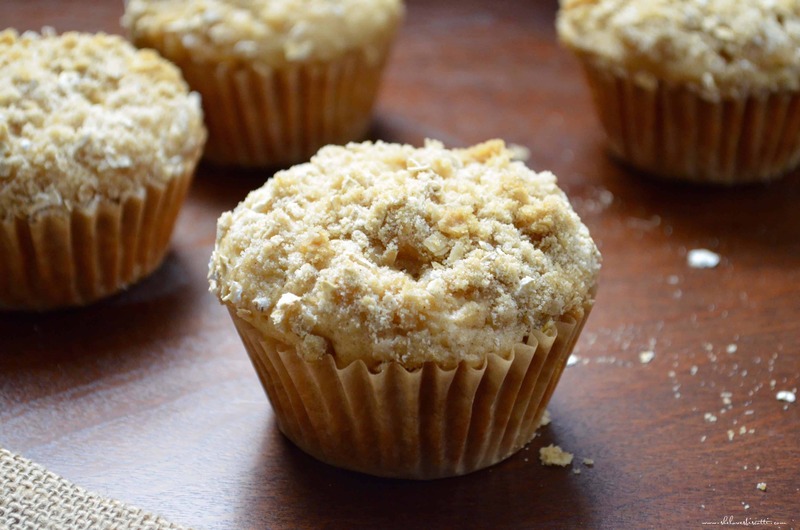 DO YOU LOVE THIS APPLE PIE MUFFIN RECIPE? 2015.10.14 This post has been updated. My pleasure Katy 🙂 What a great idea to use mini loaf pans for these apple muffins. Appreciate you taking the time to share your experience with this recipe. I wish I had seen this before making a batch of cranberry-apple muffins this morning. These look sooo yummy! 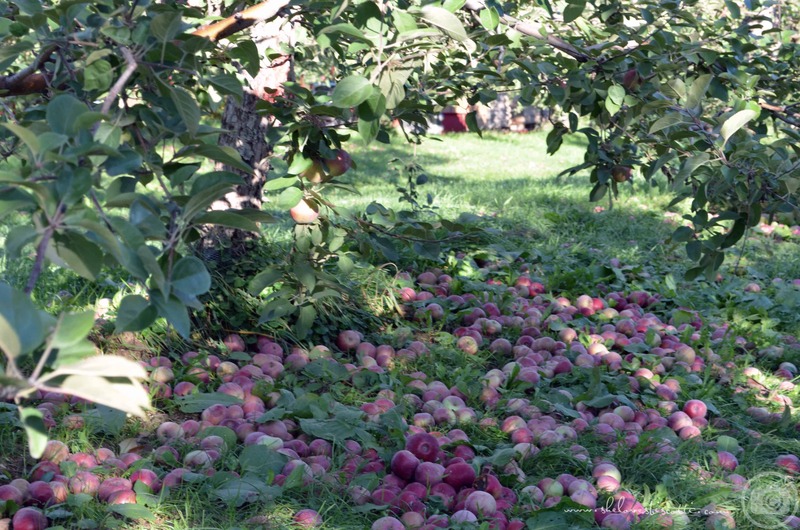 Good thing is, I’ve got plenty of apples left from our apple-picking sessions (yes, multiple!) so I’ll be trying this recipe for sure! Keep the recipes coming…..I enjoy the blog and testing out new recipes! Isn’t apple picking just the best 🙂 Nella, these muffins actually taste better the next day. Let me know what you think.